The Cloud Mining: Does it Worth the Hype? More and more people today wish to understand what a bitcoin is and how the process of cloud mining is performed. In fact, this activity is a process of bitcoin or any other cryptocurrency creation, which is carried out by getting transactions verification made by various miners on the blockchain technological platform. The verification of transactions is performed by solving complex mathematical problems and needs CPU, GPU or ASIC hardware work simultaneously. Many people want to start their mining business, but are afraid of its negative consequences like heat and terrible noise. For such customers cloud mining will be an ideal variant. What is more, when setting up this type of cryptocurrency business, people can buy hashing power from various providers by paying extra daily or monthly fees. When a contract enters into force, you will immediately start getting earnings from you miner, which works on the mining rigs of a definite cloud-mining provider, and they will go directly to your account. Today you may find various cloud mining companies, which offer a wide range of services. However, customers should always check the trustworthiness of such services, as there are fraudsters who create scamming plans on stealing the bitcoins from their clients’ accounts. 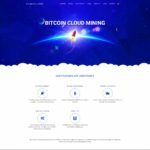 You should always check the “About Us” section of the cloud-mining provider’s website when searching for the one with good reputation. This way you can find out about the company, its policy and terms. However, if there is no info there, this is a sign that something is wrong with this company. If such important information for customers is hidden, this is a flashing light to look for another legit service. Moreover, if there are only general statements about the services provided, but no background info about provider itself, then this company also falls on a suspicion list. Before actually making a deal with any company, you have to google in order to find out whether its name is not mentioned on various forums that reveal the scammers or have negative feedbacks from customers, as people tend to post their opinions if something goes wrong. The core of any cloud mining company is its facility, as it determines the trustworthiness of such companies. However, no mining provider will ever tell you its exact location due to security reasons as their property may then be stolen or damaged easily. However, they should at least mention the city where their mining rigs are, as without this it may mean that there is no hardware for providing harshing power at all. They can share with you a photo of their facility, which you then have to examine thoroughly. The image can show you the environment where the mining farm is located; for instance, whether the temperature is appropriate or electricity supply is adequate. In addition, you can ask for the overall scale of their cloud mining business; the number of the devices used influences directly on the harshing power they can offer over their cloud. The rigs and cables must be well-organized, as this is what guarantees 100% performance. What is more, if something happens to mining rig, it may take much time to fix if it cannot be reached easily. Beware; sometimes the term “cloud mining company” is compared to high yield investment programs, which in fact are online fraud programs. How do they work? These companies set up websites where they promote themselves as trustworthy investment companies that promise a very high return. However, in reality they simply create fraud schemes by paying the new investors with the money of the old ones. Such websites do not live long though; they usually last for about 1-2 weeks and then disappear. You can find a list of such companies that are on at the moment here. You should avoid them if you do not want to be cheated. Which Services Can You Get? The SHA256 algorithm is the most common one, used for bitcoin mining by various cloud mining providers. However, there are some companies that offer services for other altcoins, we are talking about those under X11 algorithms or script. If the mining provider has its own pool, then it can easily limit the free access of pools to their own one. Unfortunately, this may influence your earnings significantly if their pool has a small profit. The fees for the pool are about 1-2%, and there are several options for payments – PPLNS (pay par last N) and PPS (share-based). You also have to check the security level of the site, as the money you have earned can be stored on a website. The minimum requirements for security are using CloudFlare to prevent any DDoS attacks. It is also preferable to use two stages of authentication if possible and try to store your bitcoins in cold bitcoin wallets, rather than having them in the wallet on the platform. You can see the level of security when registering on the website, thus if no captcha is required and email confirmation doesn’t have the password sign, then this site has low safety level. You may find space aliens using cloud SETI program offered by Eobot. 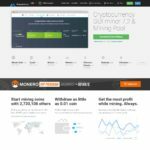 Automining (mining the most profitable altcoin is automatically applied, which leads to getting much profit) by Genesis Mining and MinerGate. Selling hashing powers is offered by Nicehash. Buying the old rigs is offered by Gigahash. You can be paid interest on various bitcoin deposits using services by OxBTC and Bitminers. There are two parts of the pricing for cloud mining service. 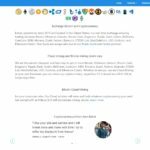 The first one is a regular charge you should pay to get access to the cloud mining service and it may be paid on a regular basis or one-time payment. The second part of pricing is the cost you have to pay for the proper maintenance, this can be an electricity or cooling bill that you have to pay daily. Though, there are companies like Bitsrapid and Hashnest, which have included these expenses into the contract pricing. There are various options of cloud mining on the market starting from the cheapest contracts, which are about 0.99 USD per GH/s offered by OxBTC. However, the average price rate for such services is about 5-15$ per GH/s. Of course, some companies offer discounts if you buy a great amount of hashing power. However, you should understand that high pricing policy does not always mean excellent services, thus you have to examine carefully all the services provided by a company, but not only looking at its price rates. 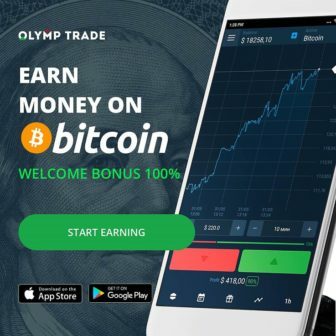 Besides, do not underestimate the other ways of getting cryptocurrency, we are speaking of its online buying or trading. It could be quite challenging for an ordinary person to dive into the bitcoin mining due to its technical nature. That is why the duty of any provider is to instruct a client by giving various guides on the services provided. You can find many companies that do not reveal their price policy till you are signed up, thus if you do not want to do this straight away, you should firstly check the provider’s FAQ and Terms and Conditions pages. There you can find the necessary information on their fees and price rates. A well-structured and user-friendly platform is a key to attracting future clients. Cloud mining is a very profitable business now, having chosen which you can easily dive into the world of cryptocurrency. However, potential clients should pay careful attention when choosing the best cloud mining provider for the first time as there are many online scammers who are haunting for the money. You must avoid being engaged in various ponzi or hyip schemes as they are only aimed at stealing money. But if you wish to try your luck, you can use bitcoin broker instead and test your broker skills. Meet our friends – custom case study writing service from Customwriting.com, that can help in any education troubles.